Here is the official Endurance Nation results update for the week ending on 05/01/2011. This week we had a total of 12 athletes race in everything from a super sprint to a full marathon…with a whopping 75% rate of personal bests. Congrats to everyone — you can read the full details below. If you’d like to join these folks in training to be your best, please join the Team Waitlist here or consider purchasing an Endurance Nation training plan here. 3/27/11 – Super SEAL – Patrick Topham (photo at left) ran this Olympic distance race for a fnishing time of 2:48:57 and a PR! Members can read his race report here. 4/18/11 – Boston Marathon – Tim Cronk raced the Boston Marathon for a PR finishing time of 3:24:40 and Steve Ross crossed the finish line in 3:28:17. 4/30/11 – Drake Half Marathon – William Jenks PR’d with a time of 1:29:00! Members can read his race report here. 4/30/11 – Wildflower Long Course – Brendan Shannon (photo on right) completed this half Ironman® in 6:18! His race report is available to members here. Illinois Half Marathon – Michael Bernico completed his half marathon in 1:46:34 for a new PR! You can read his race report on his blog here. 4/30/11 – Flower City Dualthon – Joe Crispino raced his way to his Dulathon PR in 1:44:41. Read more about the race here. 4/30/11 – Ocean City Half Marathon – Aaron MacGray raced in Maryland for a finish time of 1:26:29. 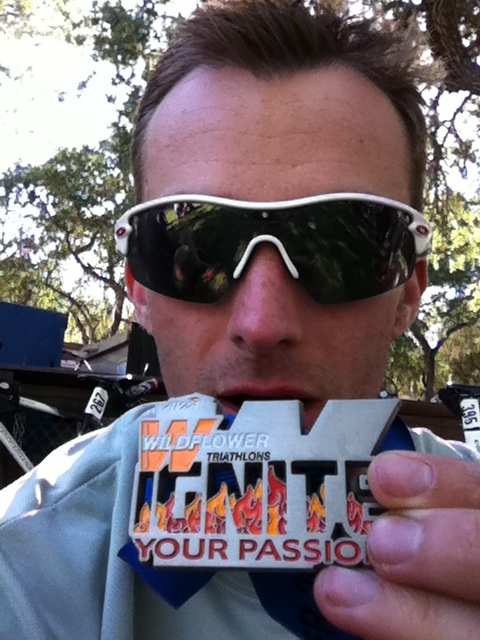 4/30/11 – Moraga Treeline Trialthlon – Matt Thoma completed this sprint triathlon and finished in 1:23:29 for a new PR. 5/1/11 – Bassman Sprint – Pete Joachim set a new PR in 1:09:11. 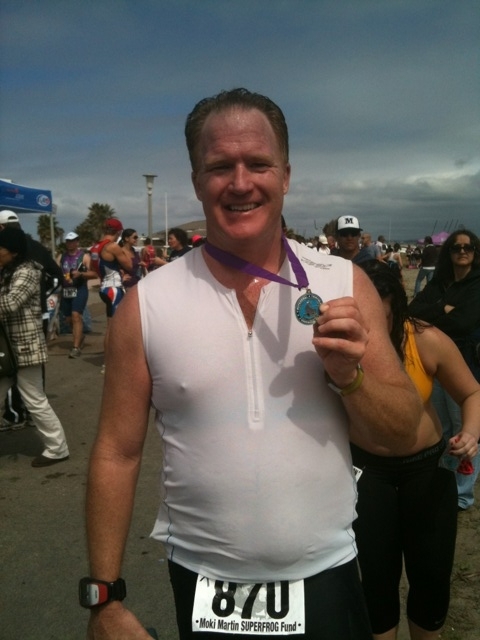 5/1/11 – OC Half Marathon – Michael Byerts finished this half marathon with a time for 1:33:31, good enough for a PR. 5/1/11 – J-Hawks Early Bird Triathlon – Sue Chapman raced to the finish for a time of 1:32:34.